August 23, 2018 – New York City Economic Development Corporation (NYCEDC) and NYC Parks today announced plans to bring a new Log Flume, Ropes Course Adventure Park, Public Plaza, and Arcade to Historic Coney Island Boardwalk. 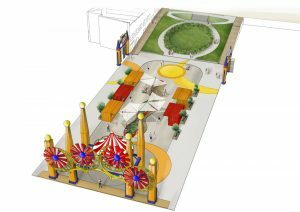 The expansion of Luna Park, run by Zamperla, will take place over the next two years and when complete will increase from 300,000 square feet (27,871 m2) to 450,000 square feet (41,806 m2). 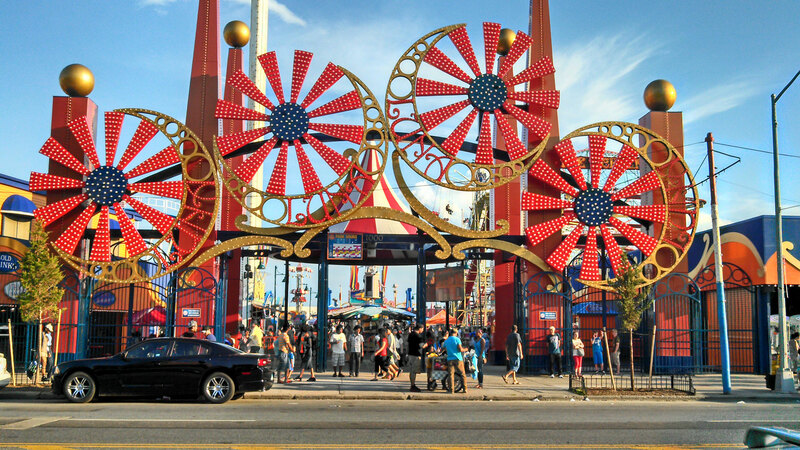 “It is an honor to work with the City of New York to continue the expansion of Luna Park and the revitalization of the historic Coney Island amusement district,” said Alessandro Zamperla, President of Luna Park. “We are expanding Luna Park by 50 percent, adding new attractions and entertainment while also providing spaces where guests surrounded by timeless excitement can eat, play, rest, and escape the mundane. 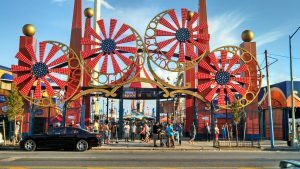 A spectacular new portal with thousands of glorious lights will welcome guests as they arrive from the subway, asserting Luna Park as one of the nation’s most dynamic amusement destinations that must be visited by New Yorkers and tourists. 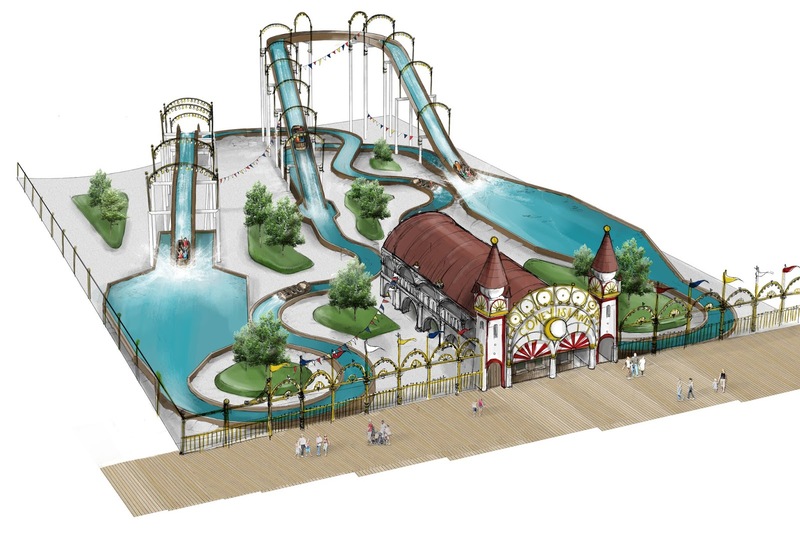 The large-scale water ride will feature a 40 foot (12m) drop and be located between W. 15th and W. 16th streets in the grassy lot along side the Thunderbolt roller coaster and the Brooklyn Cyclones MCU Park baseball stadium. The log flume will be at the boardwalk end of the lot, with its entrance facing the Atlantic Ocean next to Thrunderbolt’s. The Arcade will likely be at the opposite end of the lot facing Surf Avenue. 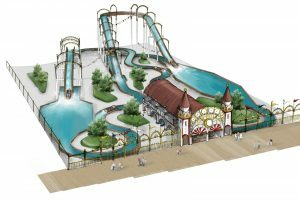 In addition to the plot of land, the proposals will look to develop the boardwalk ends of two dead end streets, with the Ropes Course Adventure Park on West 15th Street between Thunderbolt and the go-karts track. Last year the city looked for proposals for five parcels of land between West 10th and West 16th streets, which Zamperla was chosen to develop, but not all will be used for amusement rides. The one located at the boardwalk end of Stillwell Avenue, between the go-karts and the Soarin’ Eagle roller coaster, will feature an outdoor food vendor location along with new entertainment and rest areas. 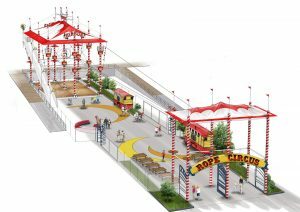 The food vendor plaza and ropes course are scheduled to open in 2019, with the log flume and arcade coming in 2020. 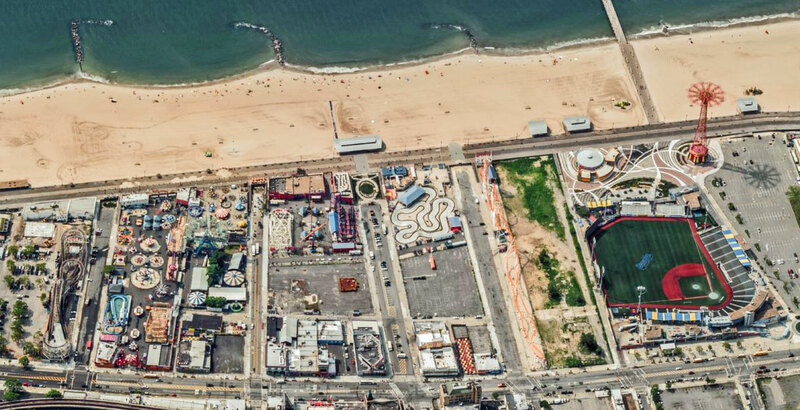 This entry was posted in News and tagged Brooklyn, Coney Island, Expansion, Luna Park, New York City, zamperla. Bookmark the permalink.